We’d love your help. 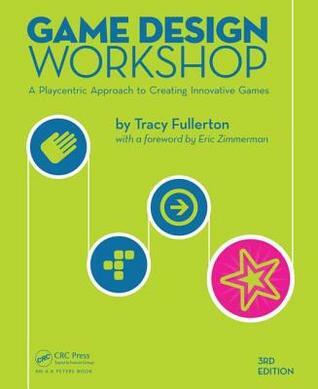 Let us know what’s wrong with this preview of Game Design Workshop by Tracy Jeanne Fullerton. To ask other readers questions about Game Design Workshop, please sign up. Very nice book with exercises to actually get some practical game design experience and insights. I does cost a lot of time to do the exercises but it's the only way to really learn how to make good games. The theory and exercises from this book are a nice addition to the theory from the book 'The Art of Game Design'. Book is good for high school folks who would like to do games. Useful just to get general image of game design at school practice level. Too wide to be used in professional field. This is a very good book that makes you thinks about games in a new light. It breaks down elements of fun in games as simple as Red Rover and as complex Call of Duty. As a writer, it makes you think about ways of writing games for player; even not for players (because apparently that's a thing). A valuable resource for anyone who wants to study games.